Experienced business litigation attorney with a demonstrated history of successful results in trial courts, arbitration tribunals, and appellate courts. Employs a thoughtful and strategic approach to each case, with an emphasis on preparedness, and has a unique ability to connect with a jury. Mr. Raley has more than twenty years of experience in a broad range of commercial litigation matters, including partnership conflicts, breach of fiduciary duty claims, breach of contract disputes, fraud claims, commercial real estate conflicts (including wrongful foreclosure claims and commercial lease disputes), employment contract disputes, and non-competition/non-solicitation claims. Mr. Raley represents clients ranging from sizeable corporations to individuals in a variety of industries, such as gaming, telecom, property insurance, commercial properties, recycling, and construction. Mr. Raley has significant experience trying numerous cases in federal and state trial courts to verdict, as well as conducting arbitrations through the award, confirmation, and collection stages. 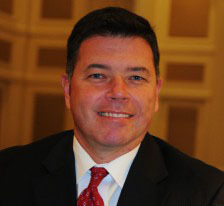 Mr. Raley also has litigated and argued more than twenty appeals before the Eleventh Circuit Court of Appeals and the Georgia Court of Appeals, including those cases listed below. Mr. Raley is a member of the State Bar of Georgia and admitted to all federal and state courts in Georgia. He has been awarded the Martindale-Hubbell “AV Preeminent” rating and was selected by his peers for inclusion in Georgia Super Lawyers in 2009-2018. Represented accounting partners before the American Arbitration Association in breach of fiduciary duty and breach of contract claims against third partner. Conducted extensive discovery on accounting practices of the firm. Obtained favorable award from arbitrator after lengthy hearing based upon forensic analysis of company financials. Represented minority shareholders of gaming software company in multi-state dispute involving competing allegations of breach of fiduciary duty and misappropriation of corporate opportunities. After successful motion practice following discovery, negotiated an extremely favorable buy-out of minority shareholders and release of all claims. Represented telecom sales company against former partner accused of fraud, breach of fiduciary duty, and acting as an unfaithful agent. Obtained sanctions against former partner for spoliation of evidence resulting in trial court’s striking of answer. Proceeded to a jury trial on damages and obtained substantial award of compensatory damages, punitive damages and attorney’s fees. Pursued post-judgment collection of former partner’s out-of-state assets and ultimately recovered entire judgment amount plus interest. Defended insurance company in federal court litigation involving allegations of unfair business practices and violations of restrictive covenants. Obtained summary judgment on key claims, resulting in settlement on favorable terms. Represented founder of gaming manufacturing company in action by majority shareholders attempting to oust founder from company without paying fair market value for his minority shares. Obtained injunctive relief to ensure proper administration of the valuation process, then pursued claims against majority shareholders for breach of fiduciary duty, fraud, and breach of contract. Negotiated favorable settlement for client. In the same proceeding, pursued claim against lender who wrongfully foreclosed on company warehouse (owned by founder). Obtained jury verdict in favor of founder and received award of compensatory damages and attorney’s fees exceeding $1M. Represented group of individuals and their entities that were involved in numerous real estate investments in Georgia prior to recession. Navigated various obligations of borrowers in loan documents and guaranty agreements, and negotiated a series of settlements on each transaction allowing borrowers to avoid filing bankruptcy. Represented health care technology company in action against two former officers and shareholders. Case involved claims of violations of the Georgia Computer Systems Protection Act. Negotiated favorable settlement of claims after extensive litigation spanning multiple states. Represented investor/majority shareholder in company selling online study guides. Claims arose from president/minority shareholder’s violation of restrictions on use of invested funds. Obtained immediate writ of possession of company assets (in the form of equipment and intellectual property) and foreclosed on security interest. Also pursued motion for contempt against president/majority shareholder for failure to turn over certain company assets, resulting in civil and criminal sanctions against president/majority shareholder. Brian devotes much of his free time to running the Girls’ Softball program at the Northside Youth Organization (“NYO”) in Atlanta. He has served as the Softball Commissioner since 2009 and has coached since 2003 in the program (including both his daughters for 9 and 13 years, respectively). The NYO Softball program annually totals 750 players and the entire NYO sports program includes more than 4000 boys and girls each year, making NYO one of the largest youth sports organizations in the country – one of which Brian is very proud to be a part.